1. 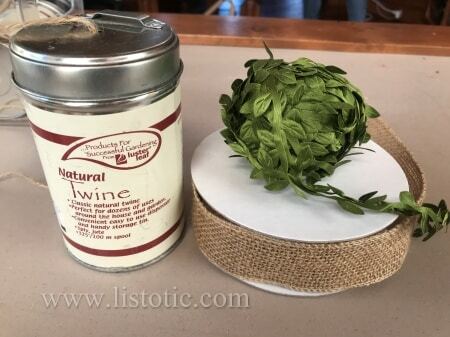 Create a rustic gift topper with wood, burlap, twine and greenery. 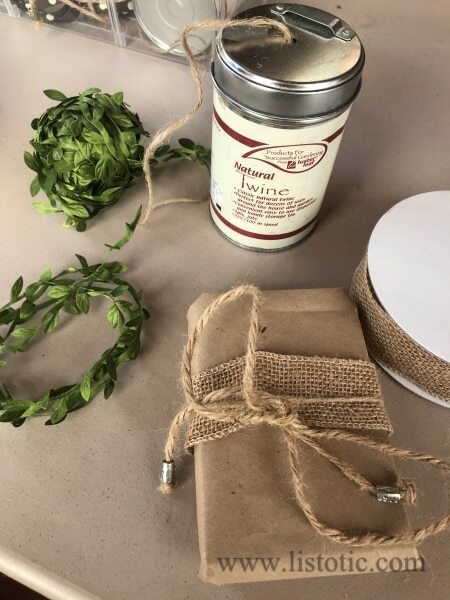 I found inspriation in the Kraft paper, burlap and greenery viewed on Craft Berry Bush and the wooden gift tags found at A Pretty Happy Home. 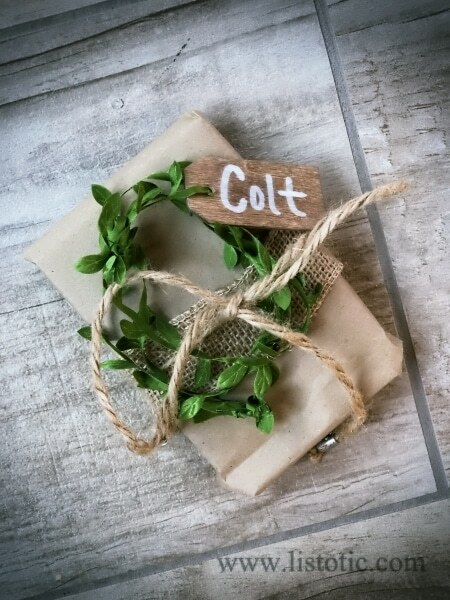 Starting with Kraft paper, adding a bit of burlap and twine to add a bow. These silver beads were left over from my wedding…a few years ago. They have a cross on them, so it seemed festive for Christmas too. 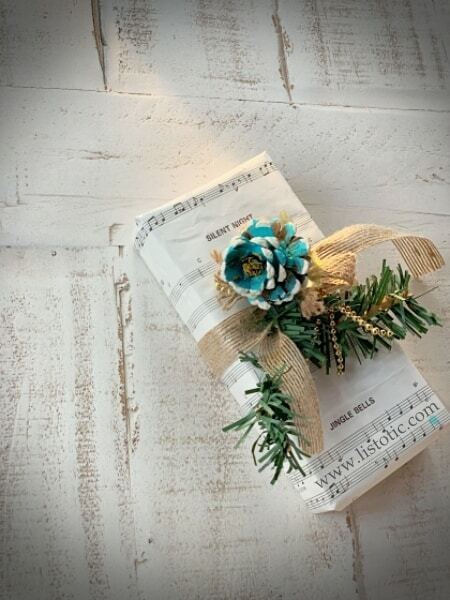 Stained gift tags add such a cute touch with the simplicity of the brown packaging and green wreath. 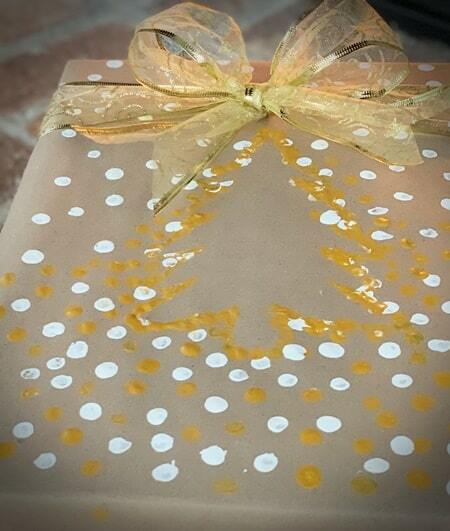 See in the pictures below, how simple it is to stain a wooden gift tag. You just need stain, I used Minwax Special Walnut, rubber gloves and a rag. TIP: Make sure you wear rubber gloves and work in a well ventilated area. AND, make sure you lay out your rag to dry before discarding it. If you wad it up and throw it away, you run the risk of starting a fire. Stain is a combustible product. It really isn’t as scary as I am making it sound, just get in the habit of drying your rags. My inspiration came from A Dab Of Glue Will Do. I used the idea of decorating around a Christmas tree to create the perception of a 3-D tree. Step 1: Print your favorite Christmas tree image on the card stock. Step 2: Cut out the image. Step 4: Place the tree on the present. 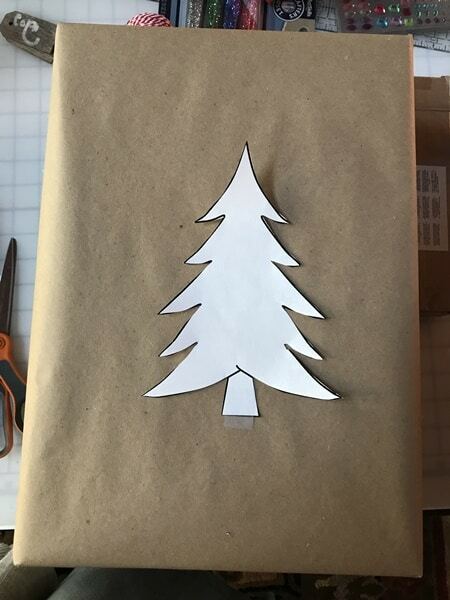 You will use this template to paint around the outside of the tree. Step 6: Remove the tree, and let dry. Step 7: Tie it all together with a fancy bow. 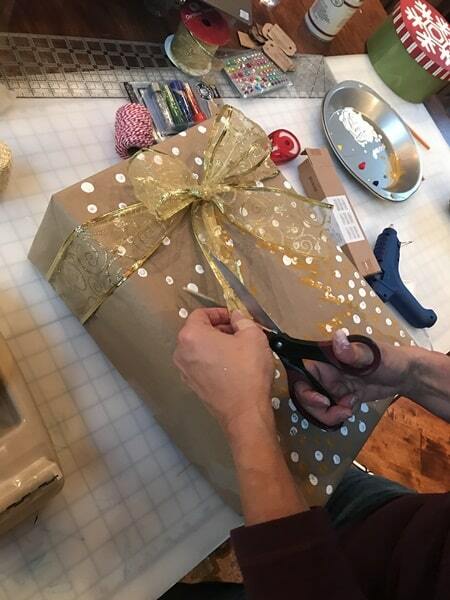 Here is a great video to help you tie the perfect bow for your package. This happens to be a box of classic Legos. If you are a boy Mom, Legos are always a hit! 3. 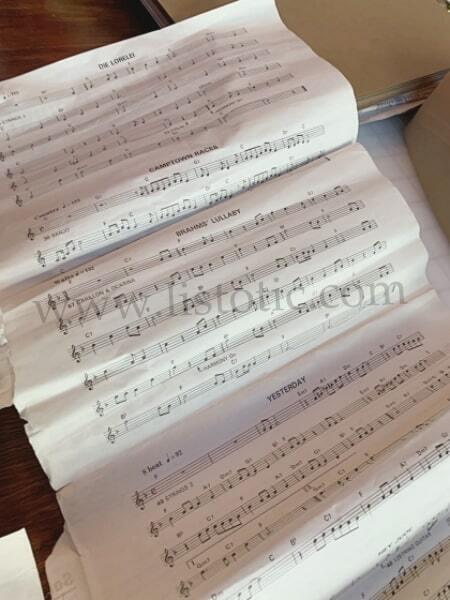 Elegant Christmas wrapping with sheets of music. 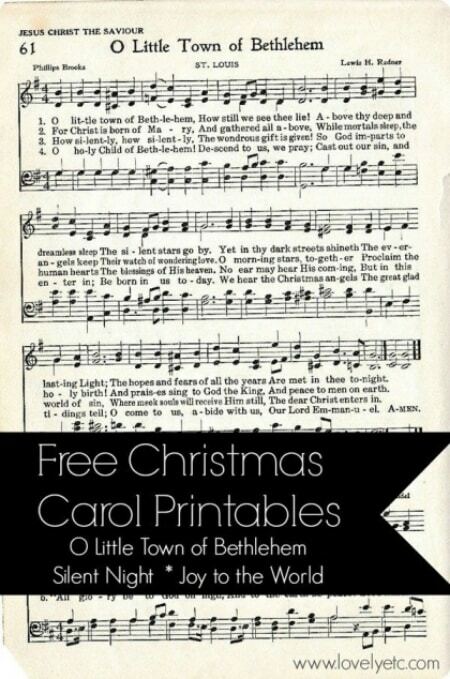 If you don’t have retro 1990 portable keyboard music sheets like me, Carrie at Lovely Etc… can hook you up with free Christmas carol printables. Or, head to your local Salvation Army, thrift shop, garage sale, or Goodwill store. 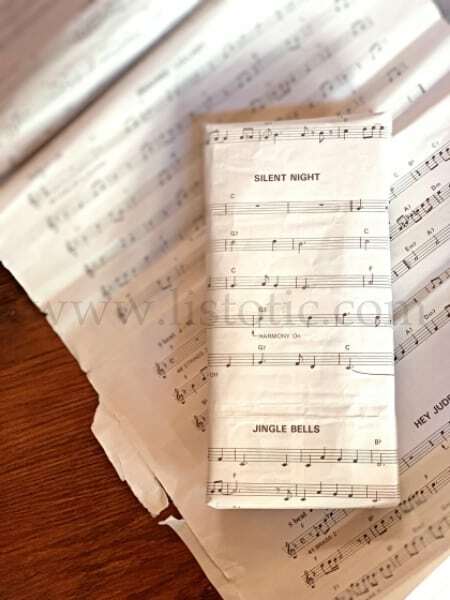 Wrapping a Christmas gift in sheet music gives your gift elegance (even if you wrapped up a pair of socks) and can even be personalized by the type of music you decide to use. 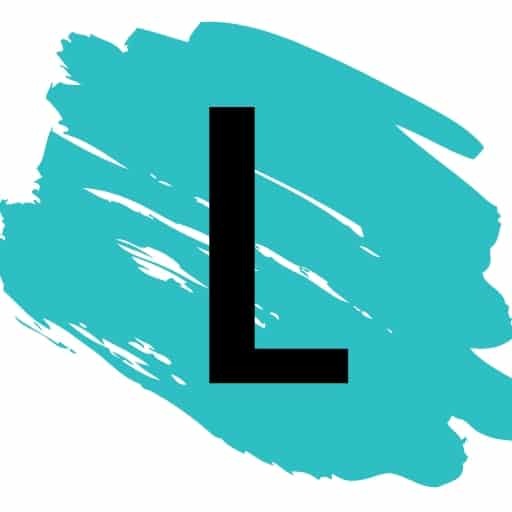 Sweet Caroline – for instance! I wanted the topper on this gift to be bright yet natural. 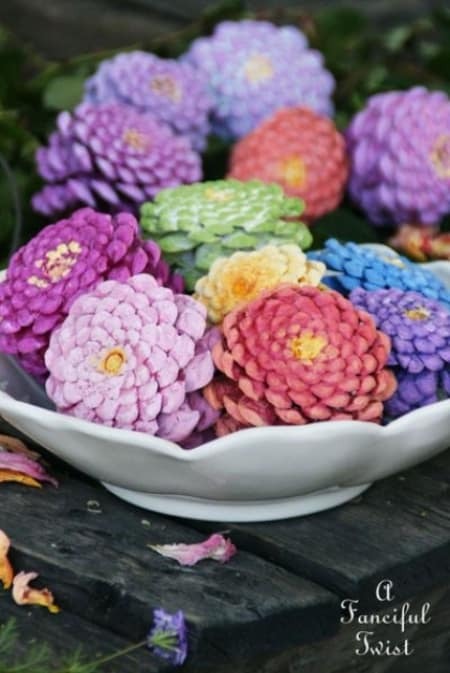 I was inspired by the pinecone transformations in this post by: A Fanciful Twist. Mine didn’t look nearly as beautiful but it had the pop of color I was wanting for the topper on this gift that was otherwise black and white. 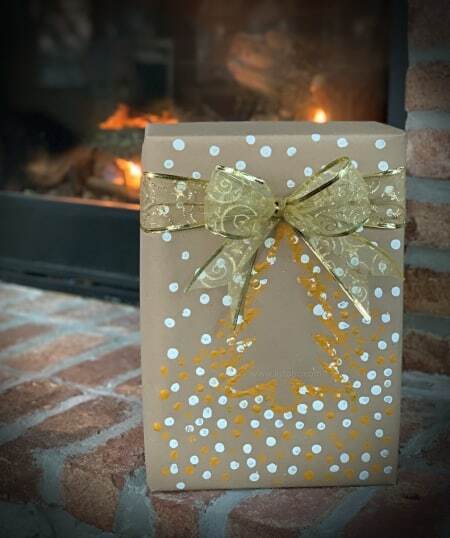 View the entire list of Creative Ideas for Wrapping Gifts.